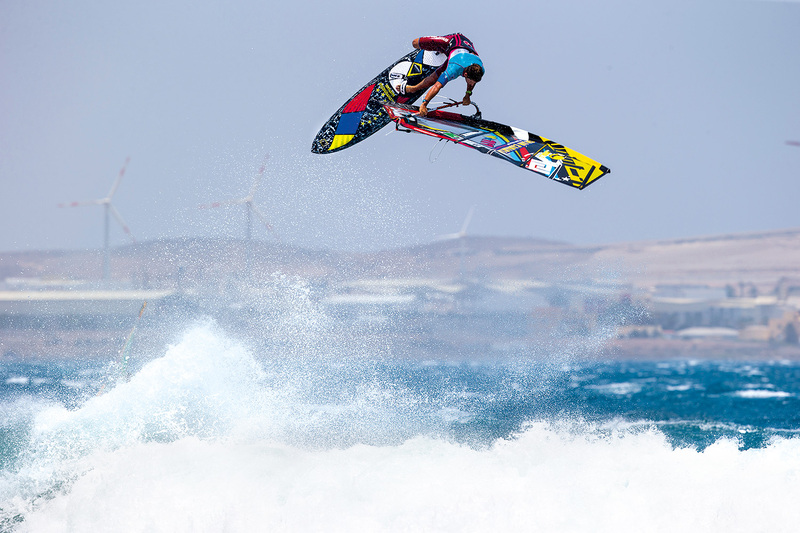 The Ricardo Campello Pro Models are the original shapes used by Campello himself in PWA World Tour competitions. For more than a year now we have tested over 16 different prototype models at spots that span the entire globe. No compromises! A three-times world champion like Ricardo holds a zero tolerance approach when it comes to compromises, ensuring his performance on the water is totally unrestricted. Ricardo’s style is arguably the highest risk and most radical on the PWA Tour. Therefore Ricardo´s specifications were very simple for his boards: highly responsive, maximum control and extreme durability. 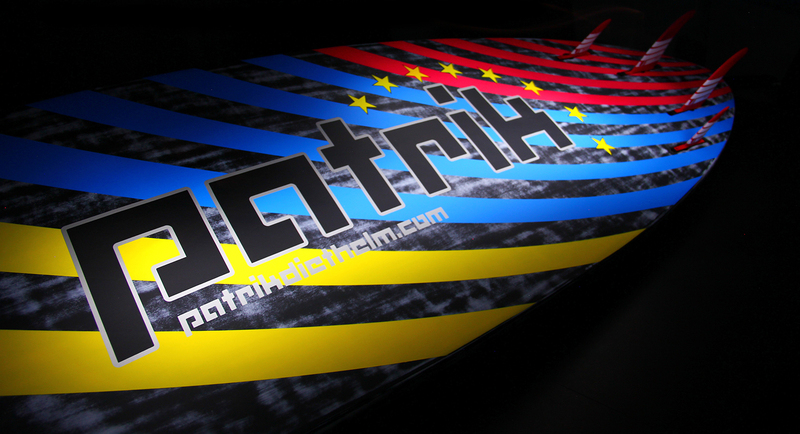 The PATRIK Campello Wave is the first Quad in our product range. Ricardo is convinced in the function of four fins because they give more grip in radical turns. The five sizes cover the entire wind range that a board like this would be suitable for. The concept of all Campello Waveboards is very much the same. The smallest board, the Campello Wave 69 is designed for maximum control in strong winds, as you move up the sizes the shape has been finely tuned to optimize your get-up-and-go with an ability to plan fast and free across the waves. If you are after a Quad wave board with no compromise that extends from a true champion then you just found it in the Campello Wave. The relatively narrow outline was chosen for easier and faster rail-to-rail transitions. The small width brings control at high speeds and an extra boost when jumping. Meanwhile the length of the board provides stability in the water, is forgiving and the nose catches the wind with control whilst jumping. The new on Ricardo’s needs optimized curve gives the board a loose feel. Amazing is the combination of planing and maneuverability. All sizes have a flat V in the tail, which then turns into a double concave as you progress under the front strap. In the Campello Wave 69, the underwater hull is designed as a mono concave to make the ride smoother and stable in high winds and in choppy conditions. The medium sizes have a deepened double concave for more agility. The Campello 93, being the largest board, has a flat double concave for improved planing and a rapid response to even the most subtle movements. Thanks to the intelligent volume distribution the board is planing very early. A stronger and more defined rounded deck makes the stance more comfortable and allows for more pressure to build up speed. The domed upper deck provides good grip while jumping and the “triangular” cross section gives the board more stability. Added volume in the rails also prevent them sinking during Ricardo’s stylish powerful turns and gives additional stability even on hard landings. Sharp rails at the rear ensure a clean optimum water release. Soft rounded rails to the bottom along the front foot straps optimize early planning and upwind performance. Strongly rounded rails around the mast track and moving on up towards the nose ensure a smooth water release during turning. Ricardo is one of the most radical windsurfer in the world and probably the guy who takes the most risks. To be able to push his limits he needs strong boards. Nothing is unbreakable but our construction has proven to be the most resistant he has ever had in his career. Same as our t-waves, the full Carbon/Kevlar deck and bottom is the only lay-up we know is best for him, and our customers.